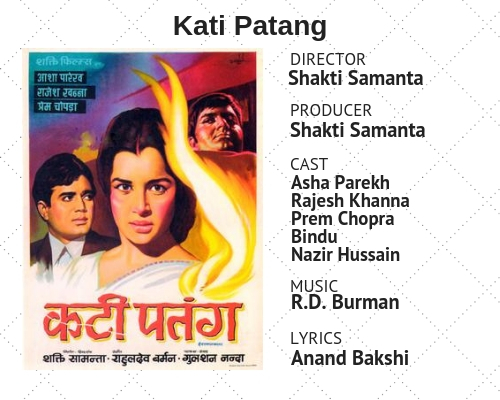 Shakti Samanta’s Kati Patang is best remembered for bringing together music composer R.D. Burman and superstar Rajesh Khanna. The film gave us evergreen hits like Yeh Shaam Mastani, Pyar Diwana Hota Hai and Yeh Jo Mohabbat Hai. 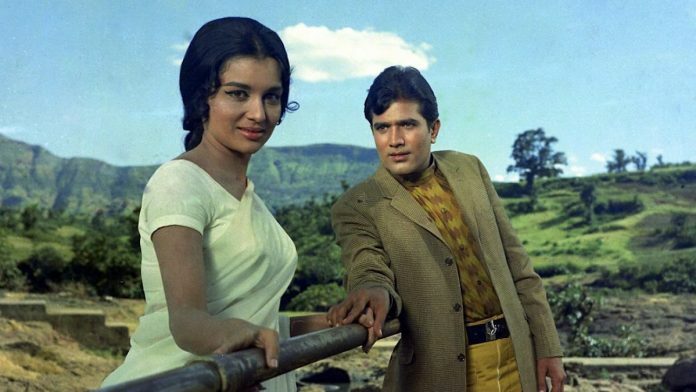 It also featured a lesser-known Holi song and dance sequence with lead actors Asha Parekh and Khanna. In a largely tragic film, the song Khelenge Hum Holi stands out as an escape from the plot and adds a pop of colour. Based on the novel by Gulshan Nanda, the 1971 film features the story of the double life of Madhavi, played by Parekh. It also tries to break the stigma around women falling in love again and again. Madhavi or Madhu’s marriage has been arranged with a stranger, but she is actually in love with Kailash (Prem Chopra). She flees on the day of her marriage to elope with Kailash, but finds him with another woman and plotting against her. Madhavi returns to her maternal uncle, but finds him dead and runs away again. On the way, she meets her old friend and a single mother Poonam and her son. Poonam urges Madhavi to come along with them to Nainital to meet the former’s in-laws. But like in most Hindi films, the train they take has an accident. Poonam’s dying wish is that Madhavi takes on her identity and raises her son. Madhavi dutifully agrees and lands in Nainital. There, her path crosses with Kamal (Rajesh Khanna), a forest ranger. She slowly falls in love with him, and he turns out to be the groom she deserted on her wedding day. Kati Patang falls in the series of hits delivered by Khanna and features his signature dance step with the tilted head. Asha Parekh won the Filmfare award for Best Actress for her performance in the film. Like most Shakti Samanta films, Kati Patang is packed with drama and tight editing. Letters are an important prop in the film and decide the lives of the characters— from Poonam revealing her real identity to Kamal and to Kailash ditching her through letters. The film also takes a moralising tone – listen to your parents when it comes to marriage. Both Poonam and Madhavi are punished by ‘fate’ for not listening to their families on marriage. Kamal, however, followed his parent’s wishes and finds love in the end. A major factor behind the film’s success was its music composed by R.D. Burman. Yeh Shaam Mastani and Pyar Diwana Hota Hai were both sung by Kishore Kumar and have become romantic classics. The lyrics were penned by Anand Bakshi. Samanta and Khanna together created the Rajesh Khanna phenomenon with films like Aradhana (1969), Amar Prem (1971) and Kati Patang. But their magic failed with Ajnabee (1974), Mehbooba (1976), Anurodh (1977), among others. Kati Patang shone through for its music, dramatics and Khanna in his prime. The film was a hit.